I downloaded the new Android sports app for Bet365 directly on my smartphone (later on my tablet too)! This app can’t be found on Google Play. The app can be directly downloaded from the bookmaker’s website as I did. I cannot say anything bad about Bet365’s app. The company is among the largest in the industry, and its Android app is full of betting possibilities on the market. It is easy to use, the interface is quite intuitive, and it comes with numerous excellent features. How to install the Android app for Bet365? At the end I clicked “Download,” waited for the application to download and installed it. Bet365 is among the largest of the online bookmakers offering terrific odds and its mobile app for the iOS platform offers a wide spectrum of Pre-match and In-Play markets, along with Live-stream directly on iPhone or iPad. Unlike the app for Android, this one can be directly downloaded from the Apple app store. I did this on my iPhone. I have downloaded and then installed the app for my iOS device. I’ve also found out that there is an application of Bet365 on Windows Store which can be downloaded directly. The mobile version’s interface and that of the apps for the two different platforms is not very different as its intuitiveness for navigation remains the same. I noticed that I have direct access to all popular sports and in-play betting options where I get to follow the match in real time with statistics for offence, dangerous offence and possession of the ball. I also noticed the interface of the mobile version, as well as that of the mobile apps, can be used in different languages. The pages of the mobile site are loaded almost instantly and are void of lags. I can say with a clear conscience that the mobile version of Bet365 is one of the best in the industry – navigation is straightforward and access to the desired option is pretty shortened and placing bets is with only a few clicks. Directly from the website I can create a new account, deposit funds and if necessary, contact customer support. My experience shows that whichever option I choose (mobile version or app), I have full access to favourite options of Bet365 such as the much-preferred IN-PLAY bets where I can follow the development of the game and track the odds in real time. Also, I can place my bets while the match is going on. In the “Live” section I can bet on some of my favourite sports such as Football, Tennis, E-sports, Badminton, Basketball, Cricket and many others. More and more players are expressing a desire to bet in real time so the bookmakers Bet365 pays particular attention to this section. Here the players get a schedule for all upcoming events on which they can bet. The Cash-out option is also offered on the mobile version and the apps of Bet365. With this option, I can stop my bets even if I am on the move. The Live Streaming section for mobile devices also deserves special attention. In this section, I have the opportunity to follow most events which are broadcasted on Bet365’s website. However, in order to have access to this feature, I must have a positive balance in my account. Besides that, the site or the respective mobile app offer opportunities for betting on a wide variety of sports. Included here are some of the most popular ones: Basketball, Baseball, Boxing, Football, Tennis and many others. Also, I have access to numerous Casino and Poker games with a wide range of bonus offers. Bet365 continually develops its range of betting offers. This is true for the mobile apps for different sections of the site as well. Once I enter Bet365 through my mobile device, at the bottom, I can check for different types of apps. When I last checked them, there were standalone apps for Casino, Poker, News and other products. At the moment Bet365 doesn’t offer any special promotions for mobile customers. Nevertheless, I can access any of the actual offers which I have described at the Bet365 bonus code review. Android: Samsung, HTC, Lenovo, LG, HUAWEI, Sony, ZTE, Asus, Acer and others. iOS: Iphone 3/3S, 4/4S, 5/5S, 6/6S, 7, Ipad. You can find the full information on the site and the apps in our professional review of Bet365. All of the bonuses mentioned above and features are available only if you deposit some amount in the account beforehand and start placing bets on different types of sports. For this to be possible, the bookmaker offers a wide variety of methods for making a deposit. Our experience shows that every method which is available on the website is also available through the apps. In the industry of online betting, Bet365 is considered to be one of the leaders with millions of users from different parts of the world. This bookmaker was founded many years ago in the United Kingdom, and the site for sports bets was released on the market at the beginning of the XXI century. Later the company released the site’s mobile version along with apps for the popular mobile platforms such as Android and iOS. Whether you are using the mobile version of Bet365 or the app you have access to a wide variety of markets, sports on which to bet, different promotions and the special “In-Play” bets section. In this section, you can track how the odds change in real time and the Live Streaming section will allow you to follow the match you have bet on directly from your mobile device. Fortunately for all players, Bet365 regularly receives licenses for more and more European countries. In this review, we will share with you our first-person experience with the mobile services of bet365. For more first-person experience at the website, check our Bet365 review. Excellent betting markets, impeccable reputation and constant development of the user functionality – this is what the bookmaker Bet365 can offer whether we are talking about mobile or desktop version. You have at your disposal the Cash-out option for stopping your bet, live-stream as well as a number of promotions for mobile users. The apps are optimised for a fast and slow internet connection. An intuitive interface will offer you a comfortable game regardless of your device’s screen size. So don’t hesitate any longer – download one of Bet365’s apps and submerge yourself in the atmosphere of the online sports betting! I’m so glad they have a mobile site version that features all of the betting options. Due to recent job problems I’ve had to downgrade to a really crappy flip phone and it’s really hindered my sports watching and betting abilities. I love the live streaming feature of this app. Makes it seem really real-time and exciting. Easy to set up and use, very happy with it. Bet365 is my favourite app for sports! I have a really busy lifestyle so I don’t always have access to a tv in order to watch my games. For those who asked – the .apk file for android could be found in the official site of bet365 and also do not try to update the app manually! I think the Bet365 app may have a bug in relations to the new iPhone update. I can’t get it to download onto my phone. Any ideas? The bet365 app is absolutely wonderful and it works like a charm!! I love how it’s accessible on both types of phones ios / android because I have three devices! I had the bet365 sports betting app but I didn’t realize they have other apps. Unfortunately, not all of them are available for Android, so please tell me from where I can get the casino app? Hello, Paul! Do you use the mobile browser or just the app? There is no reason to not work properly. Please check your android version for extra sure. I like gambling and also the bet365’s mobile app for my android device. Thanks for the review and the install instructions! 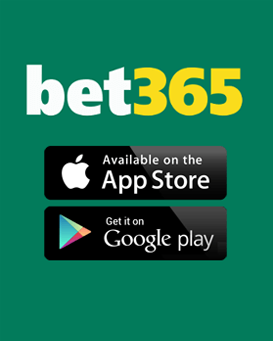 thanks for information where and how to download bet365 app and install it!